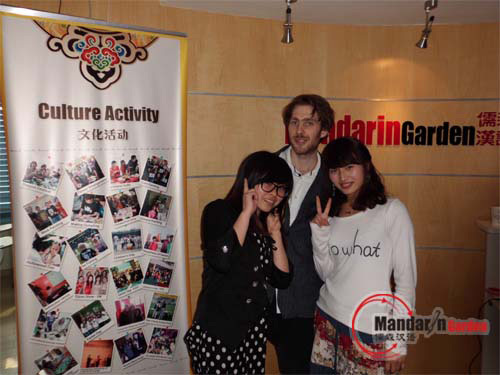 With China's position in the world more and more important, many foreigners choose to come to China. And the international metropolis - Shanghai as the window of China to meet many foreigners every year. It makes the popularity of learning to speak Chinese swept across all over the world, there are many Chinese learning way, also has a lot of skills. Learning Chinese in life is the best choice. Many Chinese people learn English by watching movies and TV shows, corresponding, Chinese learning can also like this. Television shows and movies often have relative standard pronunciation, can help learning very well. What is changing your thought, this is a very good question. Don't always think of yourself as a foreigner, from now on, you are Chinese, you need to use Chinese as your mother tongue, do anything, and say anything, put into your Chinese thinking, persist for a long time, your Chinese level can improve naturally. Newspaper is the most important way we contact with first-hand information, and don't think there are all you want on the internet. Network media with paper media completely is not a professional level, the words of professional application level of paper media is far higher than the network media. Using the life to learn to speak Chinese not only can experience the joy of life can also be effective to learn Chinese. Learning a language is to communicate, exchange, so the nature of language is in the life.